Born and raised in Manhattan, Cynthia settled into Brooklyn in the early ‘90s. She graduated from Hunter College and went on to a career that includes 15 years in Health Care Management and Program Development. Having discovered an ardent love and fascination of architecture, she decided on a second career in real estate. Whether she is working with first time home buyers or sellers, or securing the right investment property, Cynthia believes the process of selling and buying real estate should be one of ease and efficiency. She is a firm believer in allowing the details of the process to tell the story. 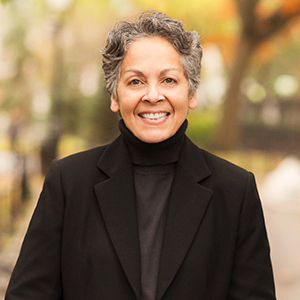 Based on her intimate understanding of the many neighborhoods that she represents in Brooklyn and Manhattan, she is able to quickly assess a client’s specific needs and translate them into real housing options to suit both lifestyle and budget. Whether you’re looking to purchase your first home, looking for an investment property or deciding upon the right time to place your home on the market, give Cynthia a call.